Backyards are places for building family memories and also a spot where one builds a storage shed. Backyards are places for building family memories and also a spot where one builds a storage shed. Now, use your mind’s eye, think about the backyard, shed and your children and imagine the different possibilities. When you have kids at home and you are making plans for a storage shed construction, you must be extra cautious and should keep child safety in mind. In a child’s mind, the shed will be transformed into a fort, castle, or a ship sailing the seven seas. It will become anything a child can visualize. 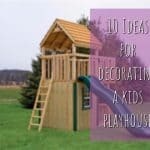 They see your storage shed as a playhouse rather than a place for storing tools and equipment. In truth, the shed contains many number of dangerous, sharp, pointy and often poisonous items. 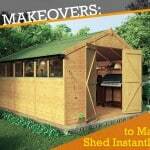 Garden sheds also hold the potential of housing explosive combinations of chemicals. While the child sees the shed as a playhouse it is, in reality, a place of danger. What parent would not do everything in their power to keep their children safe? I bet when your children were toddlers you child-proofed your home. As your children grew older, they were less apt to stick their fingers in electrical sockets and they respond to your instructions better. 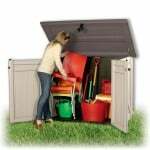 Even with the dangers attached to storage sheds we often do not tell our kids to stay away from the shed. While we want to keep our kids safe from harm, the truth is that we NEED to take proper precautions to do so. Making our shed safer to minimize any potential hazards is an important step that we must take. We also need to talk to our kids about the dangers inherent to the shed and what they should do to minimize this risk. 1. Put your tools in order. 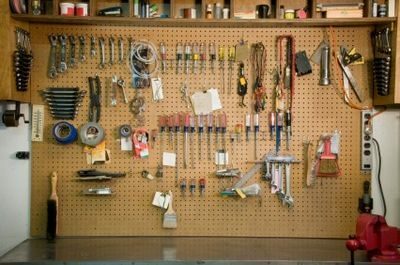 Make sure that each tool has a secure place for storage and that you return the tool to its designated spot when not in use. 2. Unplug all power tools or, if battery-powered, remove the batteries when not in use. 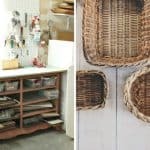 Secure sharp tools in cabinets that can be locked and keep the shed locked as well. If your shed has windows, close and lock them. Keep your keys in a safe place away from your kids. 3. Ensure your shed doesn’t have any loose boards, gaps or cracks in the walls that would be big enough for your children to squeeze inside. 4. Hazardous and flammable materials must be stored in a locked cabinet. 5. Never, ever leave your shed door open. Not even when you are just working in the yard. It takes a split-second for a child to wander inside and play with the tools and equipment inside the shed. It is always better to be safe than sorry. Sit and chat with your kids and better yet, have a family gathering. Teach them the dangers that can be found in the garden shed. Get them involved by asking what they think the shed rules should be and what they think are the fair consequences if they violate the rules they agreed to follow. Make sure you enforce those rules. Never take shed safety for granted when it comes to children. They are naturally curious and experts at pushing the envelope to its breaking point ,constantly testing to see what their limits really are. In making plans for storage shed construction, make sure to keep safety a top priority, especially when you have kids at home.